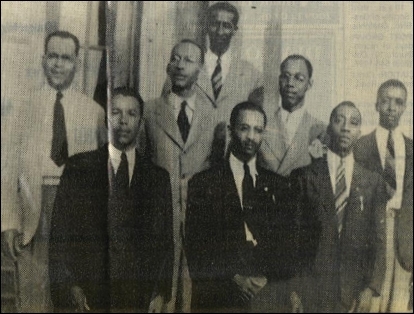 In 1994 after moving to the present location, Charles W. Costner, Sr. had little idea in 1939 that he was starting a family tradition when he bought a funeral home that served the predominantly black Highland community. Along the way, four generations have helped run it. Now 96, Costner retired about a year ago. But he still drives several times each week to Gastonia from his home in Charlotte to check on the business he traded another career for. Costner spent his early life as a building contractor. But he had experience building burial caskets. “I grew up in the Chestnut Ridge community near Kings Mountain,” he said, “and my father was a building contractor too. I helped him build developments like the old Sadie Mill village in Kings Mountain. But he was an excellent carpenter. Costner moved to Gastonia, married and established himself as a building contractor by the time his son Charles Jr., was in high school. Charles Costner Jr. said his life’s goal changed when his father became a funeral director. “My daddy had built lots of homes, churches and other buildings and I grew up wanting to be an architect. I used to admire the work of Frank Lloyd Wright and read a lot about him. I used to think, ‘I can do that,’ ” the younger Costner said. But his father and family friends persuaded him to attend school so he could help out with the family business. He never regretted the decision. A funeral director makes lots of friends, he said, and has the satisfaction of helping the survivors through the most devastating times of their lives. “I wouldn’t change a thing,” Costner said. Neither would the succeeding generations who have pursued careers with Costner Funeral Home, including Charles Jr.’s son Erwin. And Albert Costner Sr., another son of the founder, is part of the business, as is his son Albert Costner Jr., 45. 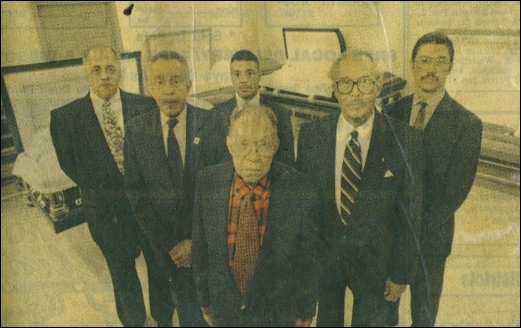 The fourth generation is Mark Smith, 25, a great-grandson of the founder. Most family members got involved the same way. Albert Costner Jr. said he had “hung around the funeral home” before graduating from high school and enlisting in the Army. He found the funeral business a satisfying career when he joined the firm after his military service, he said. Smith had helped out at the funeral home while he was in high school. “I would come around, wash the cars and do things like that,” he said. After quitting a job with the City of Gastonia three years ago and joining the firm, he’s being groomed as a funeral director. And, he said, the fifth generation is waiting in the wings. Only recently, the funeral home moved from its longtime location at 405 N. Marietta St. to 2425 W. Franklin Blvd. That county took the old place as part of the new courthouse-jail site. Charles Costner Jr. said being displaced took away one of the aspects of the business he loved. But that soon will be remedied he said. The Costner’s have purchased land on Highland Street at the fringe of the black community the funeral firm has always served. “In two years, we expect to build a new building on that property. Then we’ll be back home,” he said. 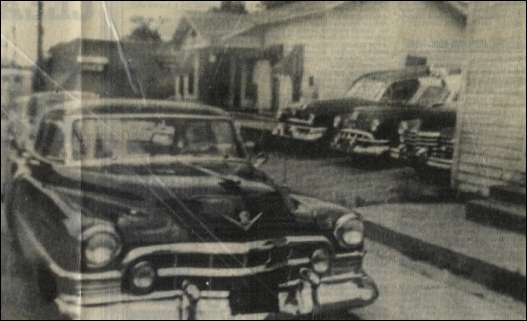 Costner Funeral Home’s hearses sit ready in the 1950s.